R. Sharath is the son of Saraswathi Rangaswamy and grandson of Guruji (Shri K Pattabhi Jois). He was born on 29th September 1971 in Mysore, South India. Sharath first trained as an electrician. But from the age of 19, Saraswathi encouraged him to become Guruji’s full time assistant; to learn from his tremendous body of knowledge in regards to yoga practice, theory and philosophy. 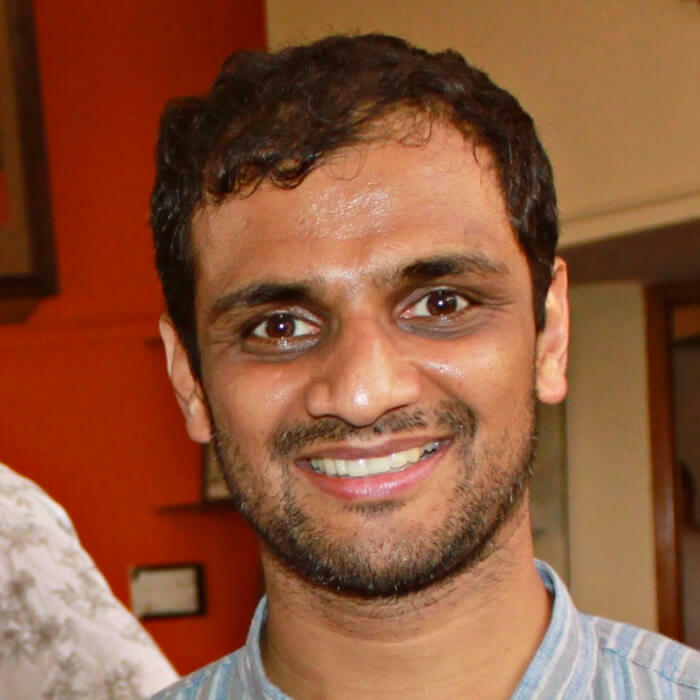 Sharath is the only one of Pattabhi Jois’ students to have mastered and completed all six series of Ashtanga yoga. Sharath became the director of Guruji’s 75-year-old institute in Mysore, South India, after Guruji passed away in 2009. Today the institute is known as Krishna Pattabhi Jois Ashtanga Yoga Institute (KPJAYI) and Sharath continues to spread Pattabhi Jois’ knowledge and teachings to thousands of students in Mysore and all over the world. He does this partly on his own and partly together with his mother, Saraswathi. The teaching in the main shala is offered in the spirit of Guruji, with great love and respect for our beloved guru. Sharath was bestowed the title of Paramaguru, which indicates that he is the current lineage holder – or the guru of the parampara – that has been passed down from Shri K. Pattabhi Jois.